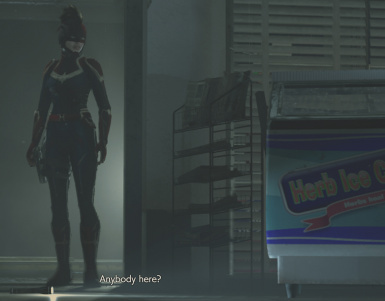 You replicated her deadpan expression pretty well, now I want to know when Mr. X becomes Thanos and when will you replace the helicopter that crashes with the Thanos-copter. 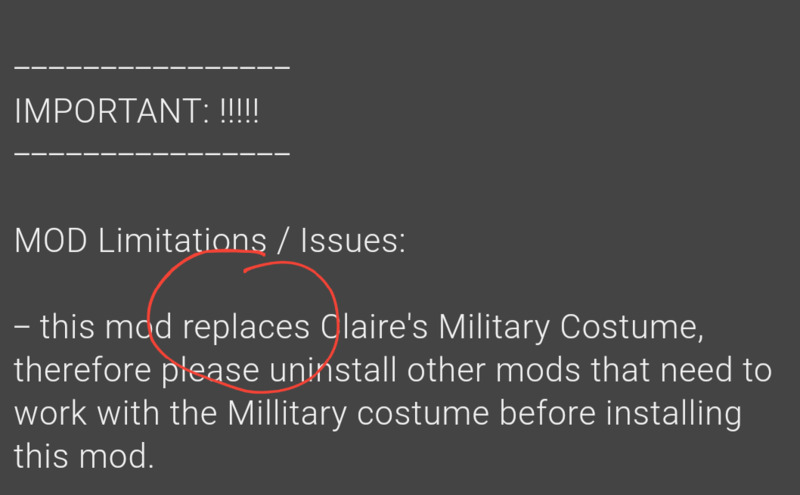 this there a way to change the model it replace as I only have the standard game, so don't have the Claire military costumes. can I just change the file name to replace a different model? I really like this mod great work!!! If not, then I understand but keep up the awesome work!!! 920562 Please check the folder again. I would like to change the name and appearance when choosing a dress like Taskmaster. The 920562 folders and pack files are in there. 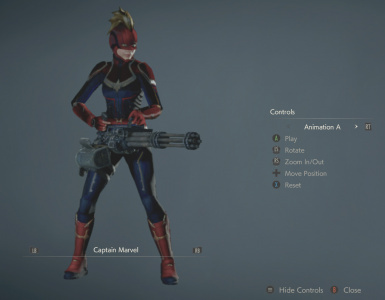 The mods are working fine on my machine, and (1) the intention IS to replace the military uniform with the Cap Marvel constume, so you really shouldn't be seeing the Military Costume and (2) Yes, this mod includes the Name and Image change on the costume select screen and model viewer. So what exactly is the problem you are experiencing? My military outfit disappeared in my closet. Removing the mode will fix it. Something strange but I found a way to be able to mode. Remove the 920562 folder in this mode. Use another military suit mode. And if you apply this mode, it will come out normally. Sorry, i just tried it. 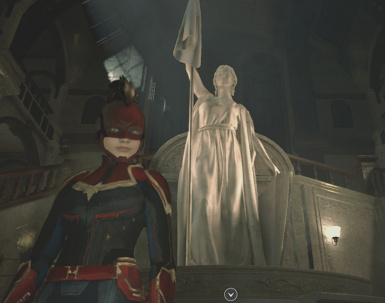 Uninstalled, reinstalled, the Cap Marvel costume is always there when installed, and the military costume is there when not installed. I cannot seem to replicate your issue. Maybe you are experiencing something else? Glad u found a workaround tho. 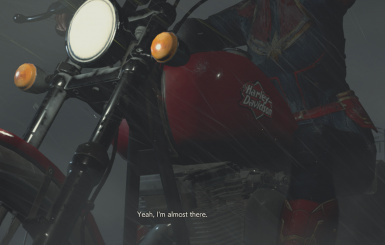 Now make her hero suit for Sherry Birkin. 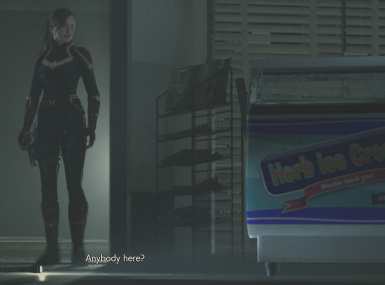 I want to see hero family when I look at the ending. The same problem with pa5674, military uniform disappeared after mod installed. On the description page of this mod. Nice Mod thanks! Could you remove the boots and make her barefoot? Well, that's a weird request. Now does she come with superpowers or is this just someone dressed in a halloween costume? Yes, if you can punch the Zombie, her power will appear. 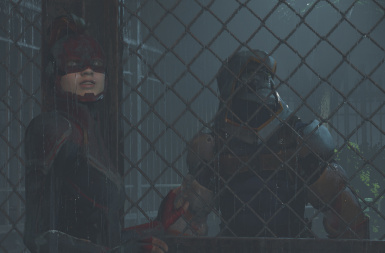 Could you please make a NO-HEADGEAR version of this costume if it's possible? I second this request. I love the outfit and mod in general, but I'm not a big fan of the helmet. It would also be great if you could die Claire's hair blonde. Sorry for nitpicking.